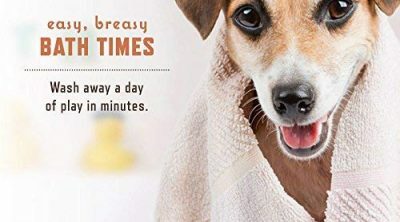 Keeping your dog well-groomed is very crucial. And no, we’re not just talking about a healthy and shiny coat but trimmed nails as well. Bear in mind, this is not just a cosmetic issue but one that concerns hygiene and comfort. 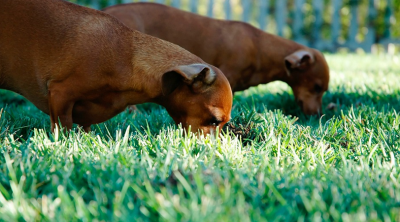 For these reasons – and more – investing in a pair of dog clippers will be in your dog’s best interest. You’ll agree, for your favorite four-legged friend, only the best dog clipper will do, right? Though they seem pretty basic, finding the right one can be harder than you think. Choose the wrong one and you may have a traumatized dog on your hands. That’s why there are some factors you need to look out for before buying one. Below, we’ll list some of the factors to consider when choosing the best dog clippers. 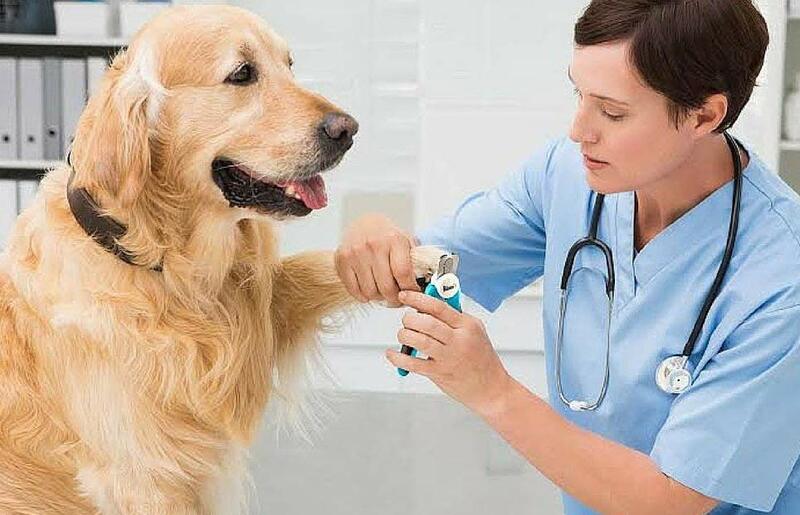 We understand why most people find trimming a dog’s nails quite intimidating. Though the nail looks tough it’s quite fragile. It contains a nerve and blood vessel commonly referred to as the quick. Unfortunately if the nail is cut too short there’ll be extensive bleeding – plus pain. That’s why the first thing you need to check for is how safe the clipper is to avoid injuring your dog. Of particular importance to note is if the clipper has a nail guard. Why? This feature will ensure the blade won’t cut into the quick during trimming. The size of the clipper is extremely important as it determines how efficiently you’ll trim the nails. They’re available in different sizes so you want to select one that works for your dog’s paw size and nail thickness. You can’t use a large nail clipper on your puppy as it features blades which are much thicker and larger. As a result they’ll only damage your pup’s small and fragile nails. Rather use it on the bigger dogs with tougher nails. Trimming your dog’s nails doesn’t have to be a dreaded process. In actual fact why not turn it into a bonding session? However for this to be possible both you and your dog must be as comfortable as possible. To ensure this, make sure you choose a nail clipper with an ergonomic design for your handling comfort. Opt for one that’s designed to fit the natural contours of your hands to eliminate any hand fatigue. 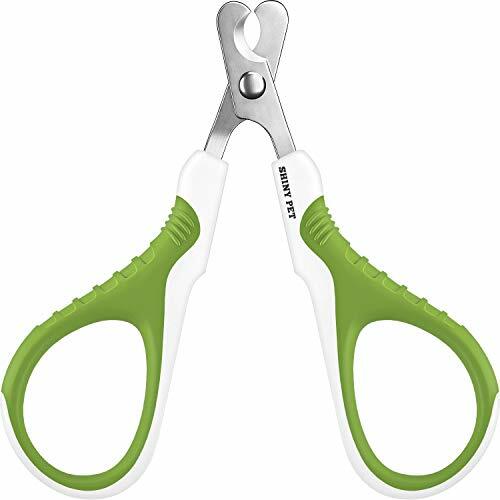 This way you can hold it comfortably for longer periods as you trim. It also reduces the risk of inflicting any injuries because of a tired hand. Now that we have all the basic features out of the way, let’s move on to how well it cuts. A lot of factors come into play including the opening and closing mechanism of the nail clipper. Make sure it’s as smooth as possible to allow for an easier nail cutting experience. While on the subject of performance you must check how sharp the blade is. Picking a clipper with a dull blade will hurt your dog and make for difficult cutting. This is because the edges aren’t as pointed and it’ll mean exerting more force to get the job done. Besides, blunt edges will just crack the nail surface as opposed to cutting through it. End result – a disfigured nail. The material used in the construction of the clipper also counts. Make sure the clipper you pick is made of heavy duty material to last longer. Needless to say a durable blade is the one you want as it stays sharper for longer periods. You don’t want a blade that requires regular sharpening after just a couple of uses. Another factor worth considering is how thick the blade is. Standard blades typically range between 3-5 mm. The basic rule of thumb is: The thicker blades allow for a much quicker nail trimming process. In addition, as mentioned earlier they also work better for the bigger dogs. If you’re looking for the safest option to trim your dog’s nails then this might be for you. 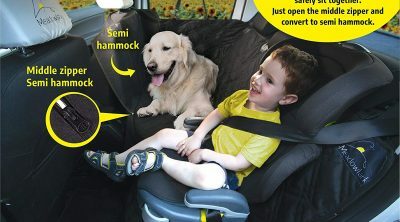 Here’s why: It features a safety guard to avoid overcutting which results in serious pain and discomfort for your dog. I for one know my dog which has split-prone nails will be happy with these. What you might appreciate with this clipper is it’s ergonomically designed which is great because you’ll find it much easier to use. The handles are nonslip and allow for an easy and comfortable grip which is ideal for preventing any accidental nicks. It’s best suited for use on the medium to larger sized breeds. Another impressive feature is the sharp blade which is 3.5 mm thick and is made of stainless steel. This allows you to trim your dog’s nails much quicker—with just a single cut. Also, its thickness means it will stay sharp for a long time. The only thing we’d recommend is to cut off smaller chunks if your dog has black nails. This will avoid you nipping into the quick resulting in bleeding. 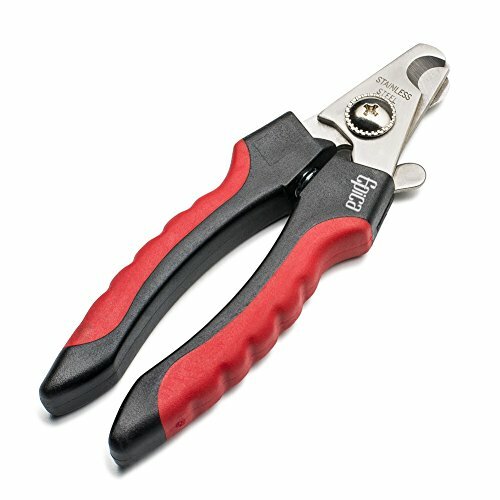 If you’re a first-timer in dog nail cutting then you might want to consider this brand of clippers. What sets it apart from the other clippers is the angled blade design that allows you to see exactly where you’re cutting. 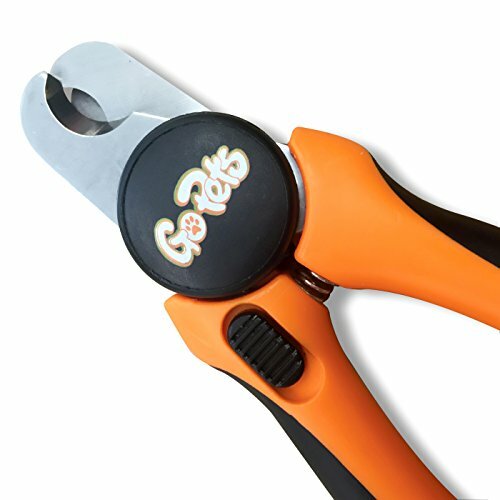 This way you can confidently cut your dog’s nails without worrying about accidental injuries. Another impressive feature is the clippers feature an ergonomic nonslip handle which allows for a comfortable grip. This in turn gives you the leverage you need to make a quick and smooth cut. You’ll appreciate that these nail clippers come in different sizes so you’re bound to find the one that works for your dog’s paw size. 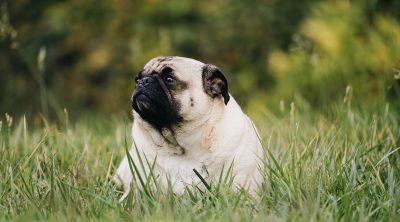 In addition, they’ll work for all breeds making them pretty versatile. These clippers are made using high-quality stainless steel which allows the blade to stay sharper for longer. The material also means you’ll get a quicker and cleaner cut which is great. The major downside you might experience with these is when you clip off smaller pieces, they lock, which is rather inconvenient. 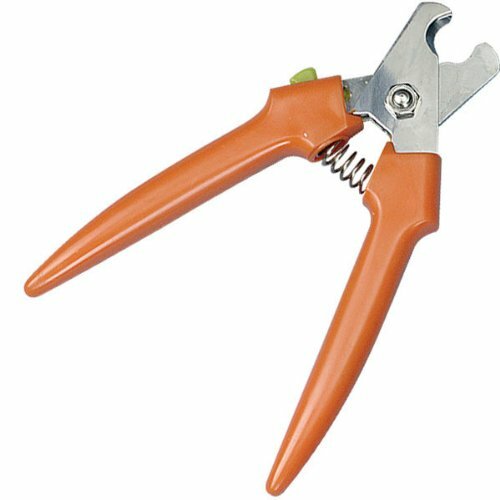 Here we have clippers specifically designed for nail trimming as well as regular maintenance. If safety is top of your list of priorities you might appreciate this pair which features a safety stop. This reduces the risk of injury during the cutting process allowing for an enjoyable experience for both you and your dog. However though the guard is one of the best features, you might have a hard time keeping it in place as it constantly shifts. These clippers are available in different sizes—simply pick the one that matches your dog’s size. Another feature worth mentioning is the soft comfort grip handle which makes it easier to handle and use. This same handle is also coated with rubber to allow easier gripping. If a durable clipper is the one you want then you’ll appreciate this one as it’s designed to last long thanks to the sharp and durable blade. The blade is also made of stainless steel which also guarantees longevity. You’ll also appreciate the locking blades which will help give a smoother and quicker cut. If you’re like me and your hand isn’t as strong, these might work just fine. 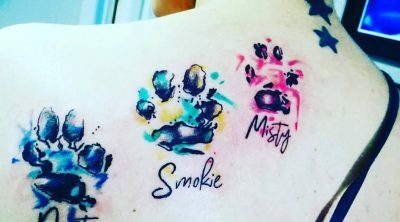 Own a large dog? Then you might prefer these clippers which are specifically designed for dogs which weigh over 40 lbs. This heavy-duty clipper is made using stainless steel from Italy so if you’re looking for quality this is your go to. Because of its impressive construction this clipper is very sharp so it might just last you longer. If performance is your main concern you’ll like that these clippers allow for a quick and clean cut—effortlessly. Another feature you might appreciate is the versatility of these clippers. They allow you to cut comfortably either from the left or right—while achieving the same results. 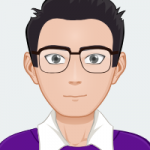 Another feature you’ll probably find handy is the cutting edge will remain parallel during cutting. 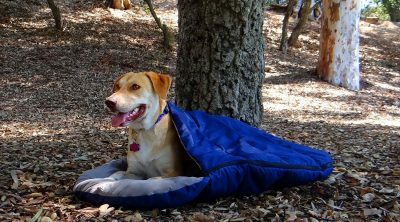 This is particularly necessary for reducing your dog’s discomfort and stress. However, make sure you don’t purchase the imitations as they’ll require all your strength to cut through a nail. If you own a smaller puppy, this might be for you as it’s designed with the small pups in mind. The edge is angled which is helpful if you’re hoping to achieve a precise cut. Also, considering how delicate your pup’s nails are this clipper allows for a single and clean cut—impressive feature. This is thanks to the razor sharp blades which offer high performance. Another feature which sets it apart from the other clippers is the window opening design on the blade. Because of this feature the nail remains visible as you cut which is particularly useful to avoid over cutting. If you’re nervous about cutting your pup’s nails make use of the provided booklet which has instructions on how to do it. The only downside is the design isn’t ideal if you have a fussy dog because inserting the claw into the tiny hole is pretty frustrating. Looking for a clipper that allows for an easy nail cutting experience? You might want to consider the Epica clippers which are known for providing superior performance. First off, we like that they’re made using high grade stainless steel. This means you may not experience any bending during the cutting process. Also, the quality construction makes them both scratch and rust proof resulting in a longer lasting product. 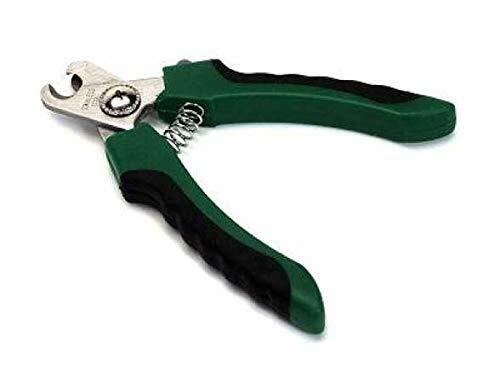 By picking these clippers you might not have to purchase another pair in the near future because of the durable design. You’ll also love that the clipper allows for a clean and quick cut. The only major downside is it requires considerable effort when cutting due to stiffness. If you own either a small or larger dog (or both), these might be for you as they’re designed for both. Another feature worth noting is the safety lock which is great for keeping them securely closed when not in use. You don’t have to worry about accidentally cutting yourself as you retrieve them from a drawer. If I were to select one, I’d go with the Shiny nail pet clippers. They promise to deliver where performance is concerned. You’ll get to cut through your pet’s nails with minimal effort while achieving a precise cut. This is particularly important because rugged or split nails will result in endless health problems for your dog. Sure, they’re slightly on the expensive side but for the advantages they come with they’re pretty worth it. 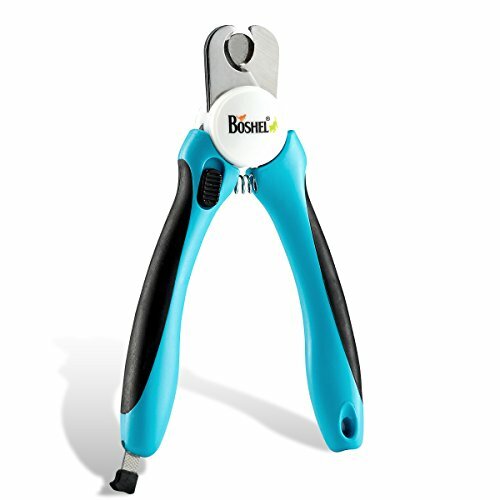 The Boshel nail clippers are also worth considering because of the user-friendly design which allows for a stress-free nail cutting experience for both you and your four-legged friend. Trimming nails never has to be a dreaded process—all you need to do is select the right clipper. Your dog will be most thankful of all. Why OCD in dogs is a ruff life! Should you become a dog trainer?